Get ready to fall in love with the spectacular Sumaq Machu Picchu in thrilling Peru, when you book your travel across WhataHotel!, receive Exclusive Complimentary Perks for a remarkable deal. Situated on treasured land, visitors will find impressive service, outstanding amenities and serene accommodations for a spectacular trek. Try out this family-friendly hotel filled with the luxury and experiences to rival any high-end hotel. 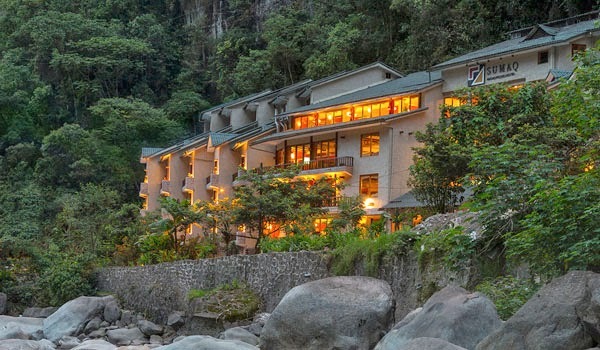 Located on the banks of the Vilcanota River in the Machu Picchu historical sanctuary, Sumaq Machu Picchu offers guests outstanding service and limitless luxury for a stellar stay. The sumptuous and spacious guestrooms and suites present guests with a cozy and sophisticated feel so that visitors are able to start and end their day in comfort. 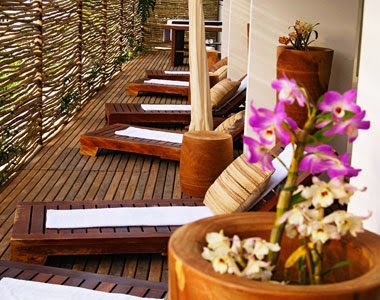 Services found here include the Aqlla Spa where clientele can enjoy a massage or other treatment in the spirit of the Ancient Inca, Nuna Boutique for a little retail therapy, traditional Peruvian cuisine served up at Qunuq Restaurant and exotic cocktails prepared perfectly at Suquy Cafe Bar. 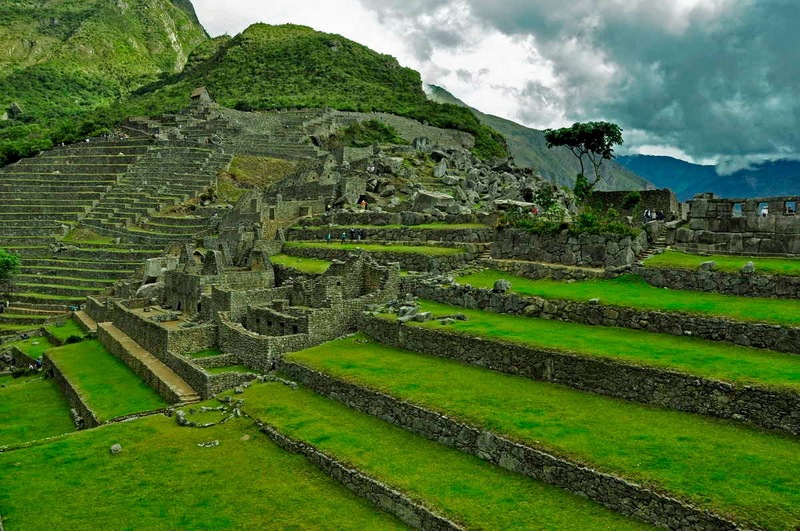 Activities and adventures await at Sumaq Machu Picchu. Tourists can try everything from a charming cooking class or bird watching tour for those looking for a relaxing experience, or maybe hiking and zip-lining through the mountains for the thrill seekers. Stay at the sustainable Sumaq, the ultimate hotel for romance, a family vacation or a weekend getaway. When booking your travel to Sumaq Machu Picchu across WhataHotel!, guests can enjoy Exclusive Complimentary Perks for an extraordinary deal. These perks include available upgrades at check-in, a 30 minute massage for two, a bottle of wine and options for an early check-in and late check-out. Many believe that the mystery and allure of Machu Picchu is a can't miss historical site. Plan your trip to Peru and appreciate this glorious ancient spot while relaxing in the opulence and splendor of the beautiful Sumaq Machu Picchu. 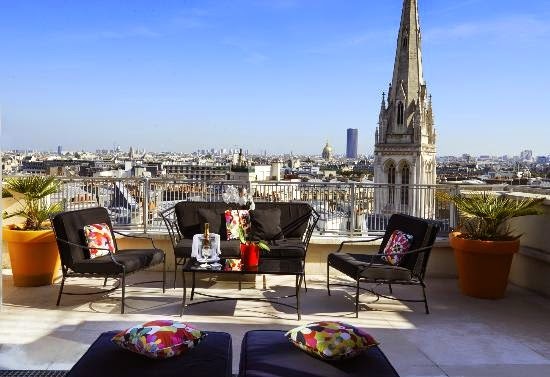 Enjoy noteworthy views of the Eiffel Tower while staying in style at the glamorous Hotel De Sers, book your travel across WhataHotel! 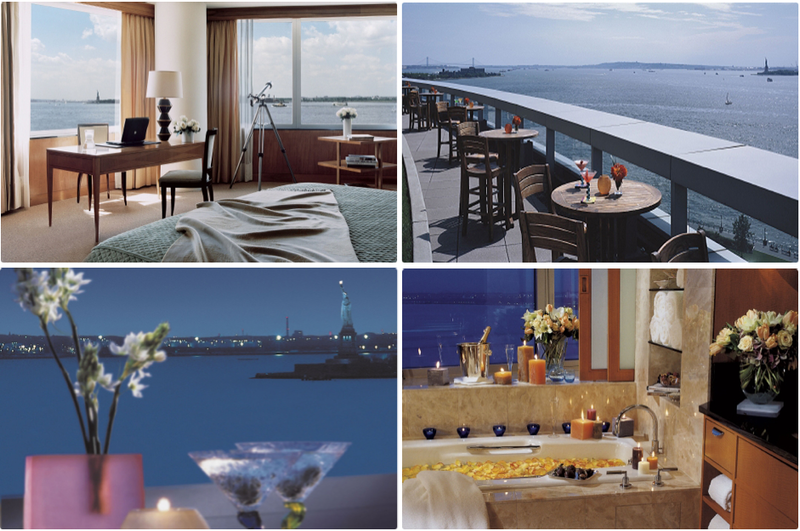 and enjoy Exclusive Complimentary Perks for an extraordinary trip. 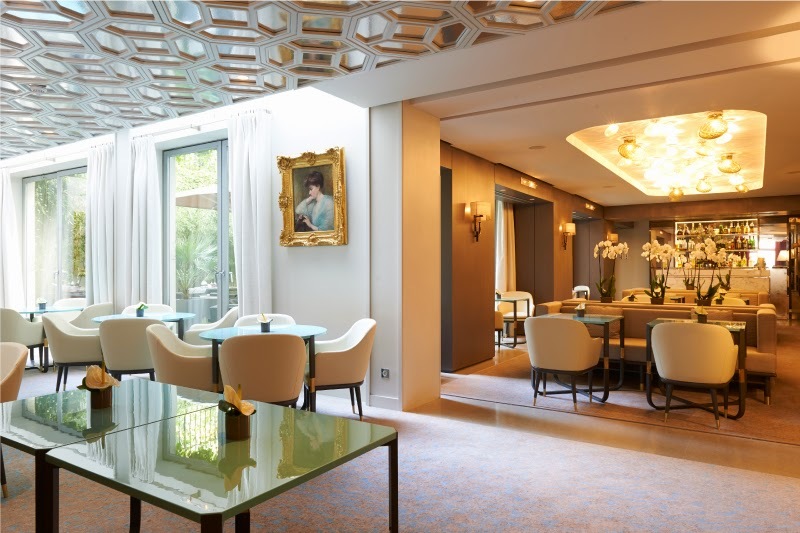 Considered by many to be a Parisian baby palace, time spent at this grand hotel will surely make your trip to the city of love complete perfection. Whether you plan a trip to France for the Spring, Summer, Fall or even the Winter, there is little doubt that your time here will be remarkable in every way. Book your travel at Hotel De Sers for a monumental trip in an awe-inspiring locale. The Hotel De Sers was once a lovely private mansion, but today welcomes travelers from around the world. 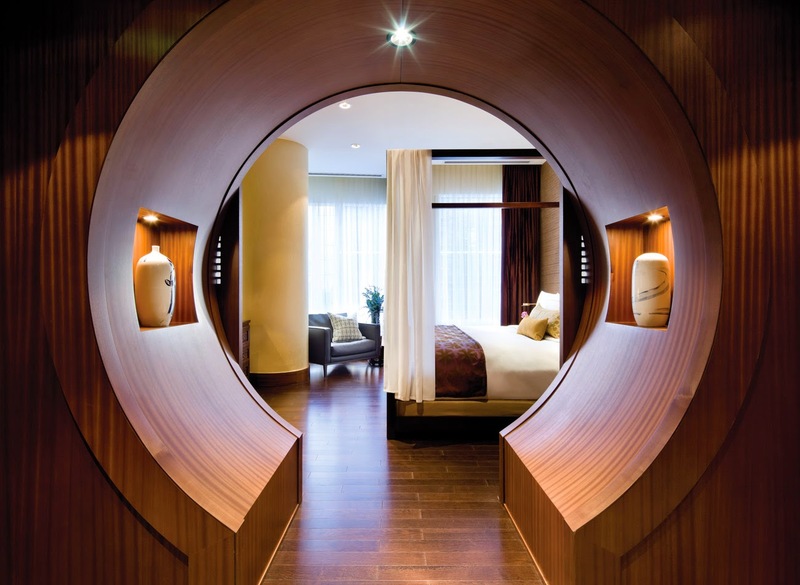 The superior rooms and suites invite guests to unwind while the modern technology ensures each guest can remain connected. 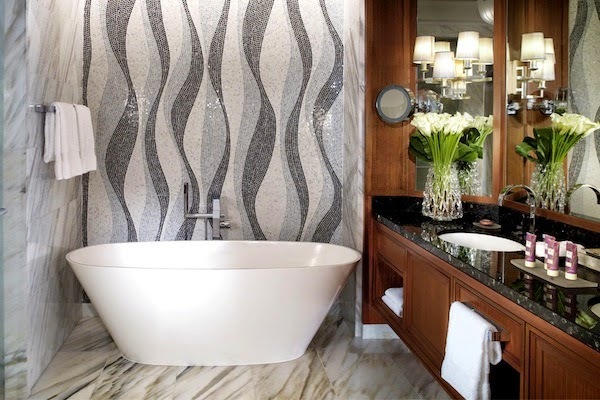 Each space is completely private, comfortable and filled with opulent amenities and ultra-chic decor. Other exciting options found at Hotel De Sers include the state-of-the-art fitness center, the tempting sauna, in room or fitness room massages and beauty treatments, innovative and delicious menu items served up at the de Sers Restaurant, delightful drinks presented at S'Bar and the Patio Terrace is the ultimate place sip a drink or dine under the stars or with the sunshine on your face. 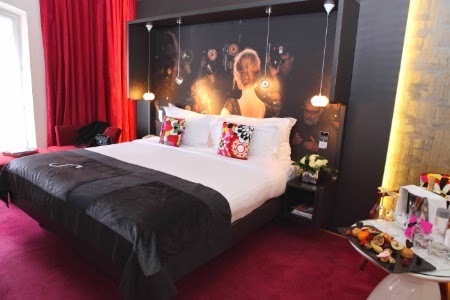 A rich ,vibrant history and glamorous setting await you at the fabulous 5-Star Hotel De Sers. When booking your stay at Hotel De Sers across WhataHotel!, guests can receive Exclusive Complimentary Perks for an unbeatable deal. The perks include available upgrades at check-in, an in room welcome amenity upon arrival and options for a late check-out. 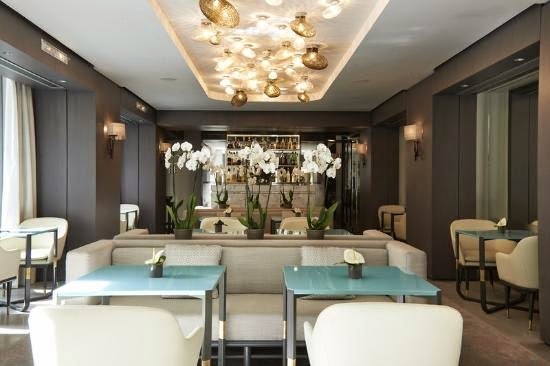 With its unprecedented service, ideal location and affiliation with the fashionable and stylish of this magical city, Hotel De Sers is a magnificent place sit back, relax and take in all that is great in Paris. Plan your fall trip to the captivating city of Moscow, where history and beauty are abundant; stay at the fabulous Four Seasons Hotel Moscow and enjoy Exclusive Complimentary Perks when you book your stay across WhataHotel! for an exceptional deal. 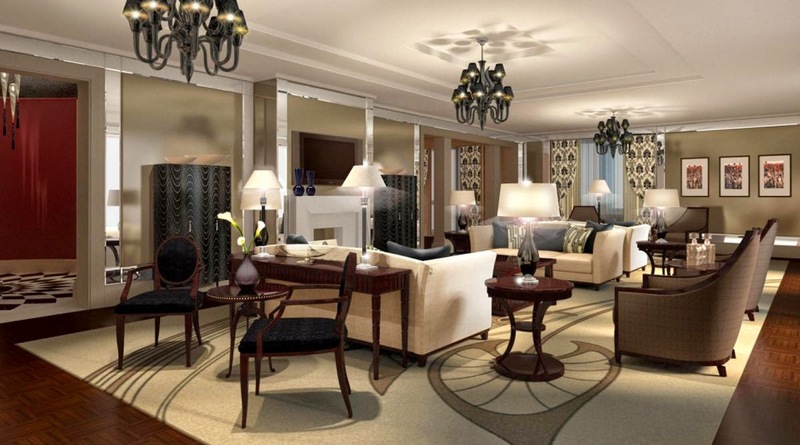 This glamorous hotel is now accepting reservations for arrivals on October 30, 2014 and beyond. 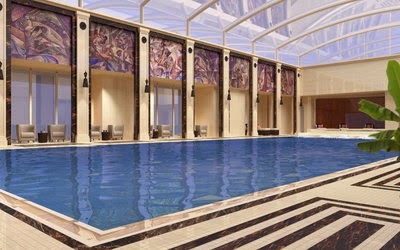 Relax in luxury, in the elements of the 1930's Russian constructivist design, at the grand Four Seasons Hotel Moscow. 180 exquisite hotel rooms and suites welcome guests, while the inspired and unique decor and one-of-a-kind room layouts keep them wanting more. All suites present guests with a no smoke fireplace, modern bathrooms and the specialty suites even have a high-tech infrared sauna. 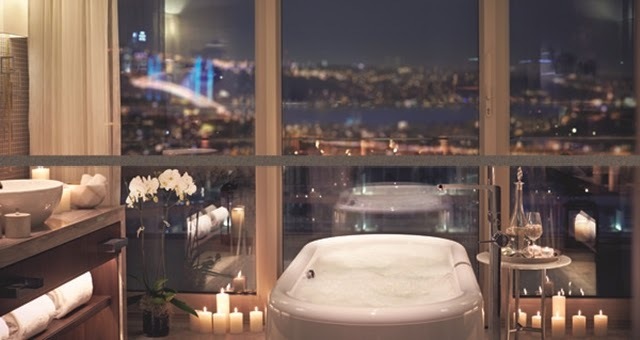 The bright and airy spaces are contemporary and chic ensuring fantastic views of the Moscow skyline. The two, three-bedroom Presidential Suites found on the seventh floor are completely magnificent, with terraces overlooking Manezhnaya Square and the Kremlin while the living room has views of Red Square. Other exciting amenities include a remarkable fitness center, a lovely pool and a spa with a sun-lit lap pool and rejuvenating treatment rooms. 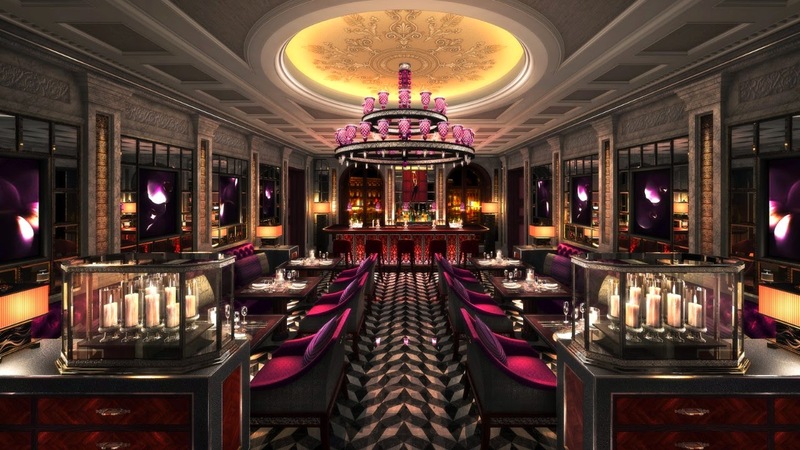 Fashionable five-star dining experiences are found at the Four Seasons Hotel Moscow, everything from Italian cuisine to regional favorites can be enjoyed in style. 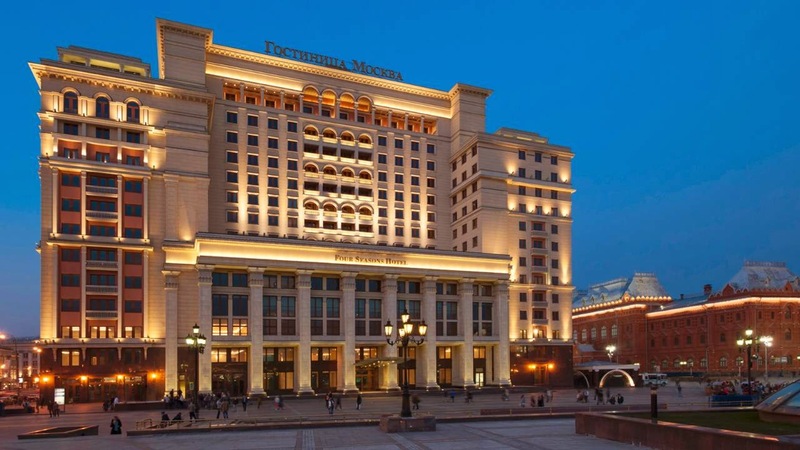 Revel in attentive service, a friendly staff and experiences of exceptional quality at this incredible hotel, a hotel that is sure to become one of the Best Hotel's in Moscow. When booking your stay at Four Seasons Hotel Moscow across WhataHotel!, guests can savor Exclusive Complimentary Perks for an extraordinary deal. These perks include available upgrades at check-in, a full breakfast for two daily, a spa credit for $100 and high speed Internet access. Moscow is a phenomenal vacation destination that is sure to please. 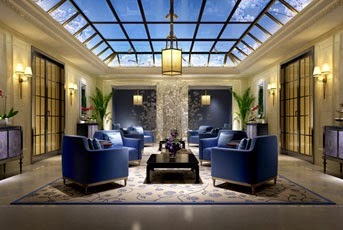 Stay at the new and truly spectacular Four Seasons Hotel Moscow for a luxurious time in a fascinating city. 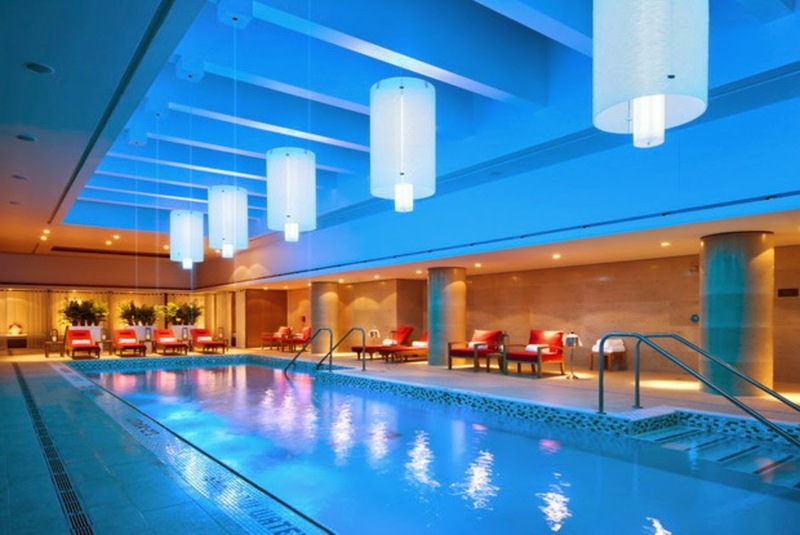 Situated along the banks of the Qiantang River, The Azure Qiantang offers up luxury and sophistication in the lovely city of Hangzhou; book your stay across WhataHotel! and receive Exclusive Complimentary Perks for an exciting deal. Overlooking the world's largest tidal bore, this sensational hotel offers guests extraordinary accommodations in beautiful China. Allow WhataHotel! the chance to book your travel plans for a vacation or business getaway, too good to miss. 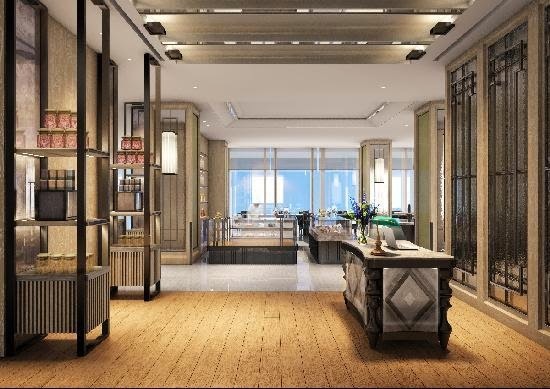 The Azure Qiantang, a Luxury Collection Hotel will be opening its doors in just a few short weeks, welcoming guests to a touch of glamour in the dramatic city of Hangzhou. 205 gorgeous guest rooms and suites feature spectacular amenities, well-appointed decor and unforgettable views of the Qiantang River. Other exciting conveniences found here include the captivating business and event spaces, two fine dining restaurants, a pristine pool, a rejuvenating spa and of course the well-equipped fitness center. 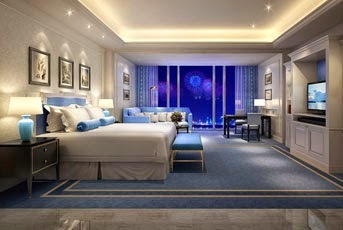 Create lasting memories in a glorious setting when you book your stay at The Azure Qiantang, a Luxury Collection Hotel. 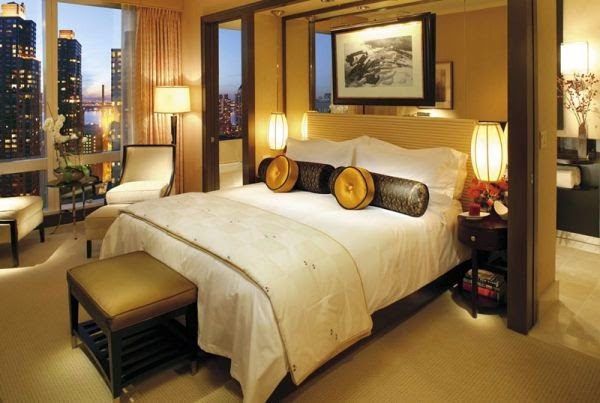 Those that plan their travel to Hangzhou with the assistance of WhataHotel! will receive Exclusive Complimentary Perks for an unbeatable deal. These perks include a daily breakfast for two, available upgrades at check-in, a lovely welcome amenity and options for an early check-in or late check-out. China is an alluring setting with both cultural and historical significance, plan your stay at The Azure Qiantang, a Luxury Collection Hotel where you can experience uncompromising service and elevated amenities for an unforgettable trip. Discover a fresh and sophisticated style at the brand new Four Seasons Dubai at Jumeirah Beach, opening December of 2014; book your travel across WhataHotel! and receive Exclusive Complimentary Perks for an outstanding deal. 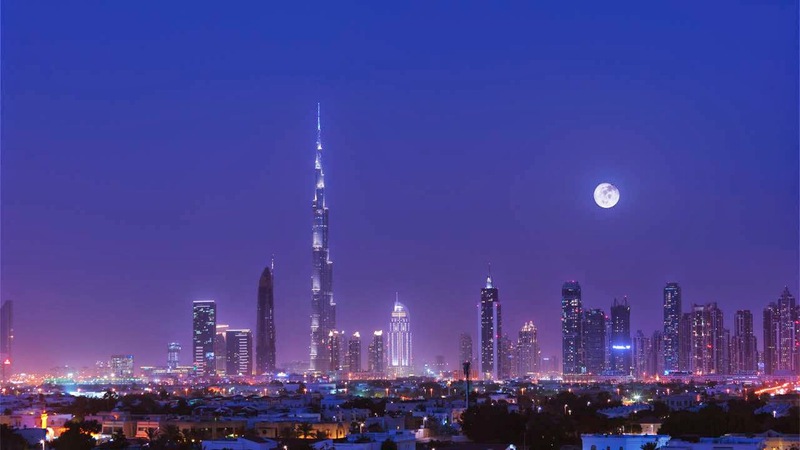 Dubai is a dynamic coastal city that offers up both relaxation and adventure. Stay at the brand new and always fabulous Four Seasons Resort in Dubai for a trip that will exceed all expectations. Four Seasons Dubai at Jumeirah Beach will be an ideal spot for everything from high-level business meetings to a relaxing and rejuvenating vacation destination. This lovely hotel was built on a the pristine Jumeirah Beach and showcases 237 spacious guestrooms and suites. Each accommodation is designed in a contemporary style with Arabic flair to ensure that each space feels authentic to the surrounding locale. The glamorous rooms also feature stunning views of either the gulf or the downtown skyline and amazing amenities for a comfortable visit. Four Seasons Dubai at Jumeirah Beach will also be home to 10 delightful restaurants and lounges, one of the cities most lavish spas, a well-equipped fitness center, business meeting and event venues and three spectacular swimming pools ensuring guests will feel pampered and pleased during their time here. 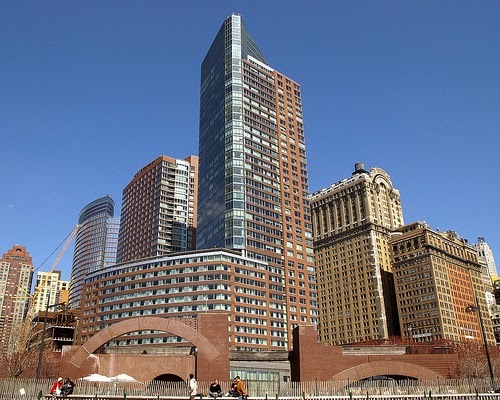 The convenient location allows lucky guests to enjoy the beachfront, as well as the downtown area making it a great place for business and leisure. This stylish resort perfectly captures the energy and exhilaration of the magnificent city of Dubai, guaranteeing that guests enjoy a unforgettable stay. Be one of the first guests to savor the luxury and splendor of this new beachfront resort, in one of the most alluring city's in the world. When booking your stay at Four Seasons Dubai at Jumeirah Beach across WhataHotel!, travelers can receive Exclusive Complimentary Perks for an amazing stay. The perks include available upgrades at time of check-in, a full American breakfast for two daily, a $100 spa credit and high speed Internet access. Book your travel across WhataHotel!, a Four Seasons Invitation-Only Preferred Partner, for experiences of exceptional quality in an exciting destination. Take in the striking landscape that unfolds before your eyes at the Shangri-La Toronto, book your stay across WhataHotel! and receive Exclusive Complimentary Perks combinable with a fantastic Special Offer for an exciting deal. Toronto is Canada's largest city and offers loads of exciting activities and a central location for easy access to boutiques, restaurants and cultural exhibits. 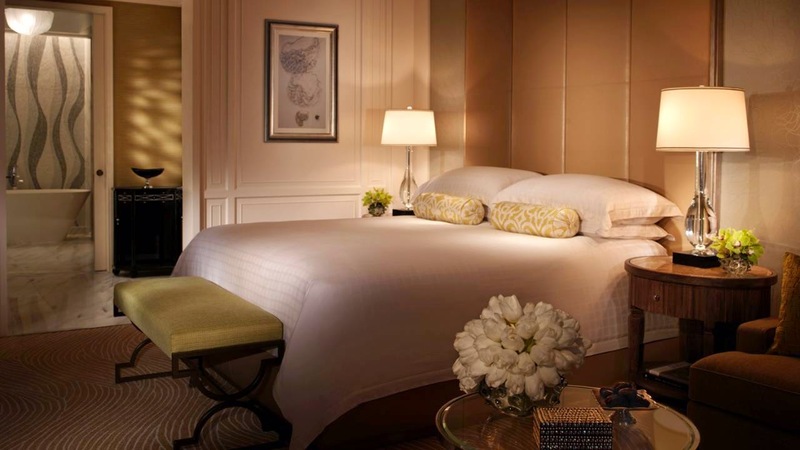 Stay at the glamorous Shangri-La Toronto and experience luxury and impressive service at one of the Best Hotels in Toronto. Floor to ceiling windows and high-end sheets welcome guests to one of the 202 rooms and suites while the Asian-inspired decor, impressive amenities and fine furnishings ensure a comfortable stay. Active guests will enjoy the onsite health club and those looking to unwind will love the treatments offered up at Miraji Hammam Spa. 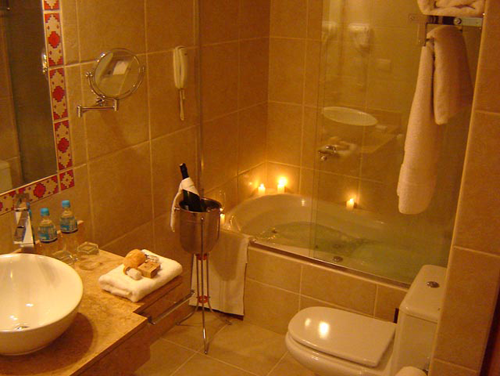 The spa also features an elegant lap pool, an infra-red sauna and Jacuzzi. The ultimate event venues and meeting rooms can be found at Shangri-La Toronto. This setting is ideal for social or business events and guests can rest assured that the exceptional staff will create a perfect affair. 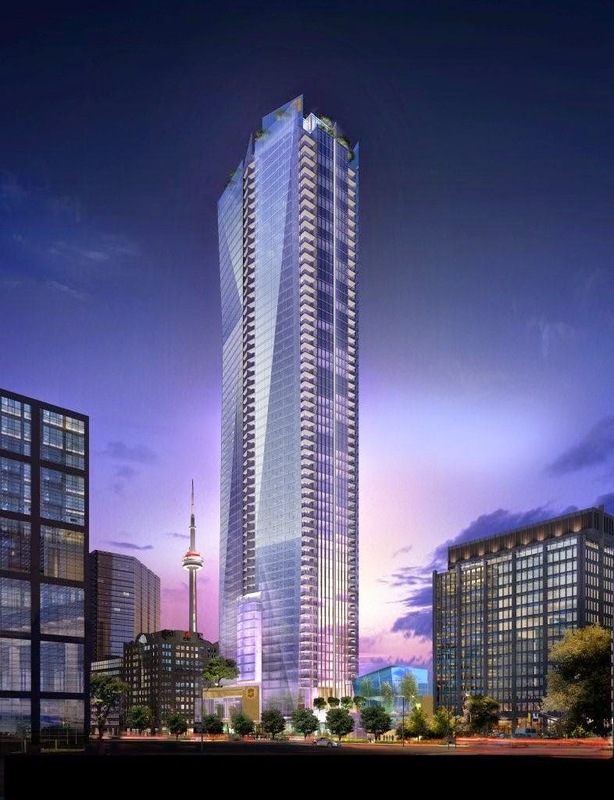 When hunger strikes, the city of Toronto presents loads of causal and elegant dining spots, but the Shangri-La Toronto also has a magnificent option on property. 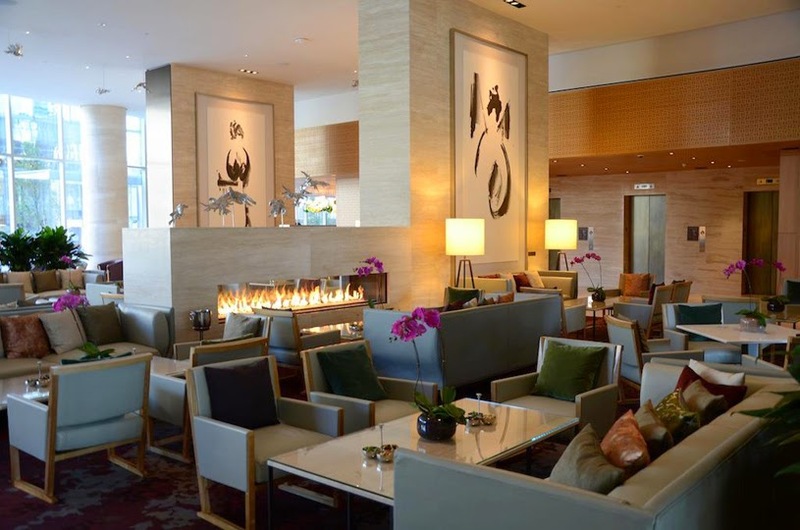 Bosk offers up international cuisine with an Asian influence or head to the Lobby Lounge or The Bar for a signature drink or light snack. Shangri-La Toronto is an exotic spot for those that want to enjoy the beauty and sophistication of Toronto while staying in the elegance of a Shangri-La Hotel. When booking your stay at Shangri-La Toronto across WhataHotel!, guests can savor Exclusive Complimentary Perks alongside a fantastic Special Offer for an amazing deal. These perks include a full breakfast for two daily, available upgrades at check-in, a $100 CAD food and beverage credit and options for an early check-in and late check-out. Combinable with these perks is the Special Offer of a Guaranteed Upgrade at time of booking making certain your stay is top-notch. Relish the glorious cityscape, spacious spaces and unprecedented hospitality for a trip to remember. Hotel Santa Teresa is a refuge from the hustle and bustle of this modern world, a place of peace and refinement; book your stay across WhataHotel! and receive Exclusive Complimentary Perks for an amazing deal. This luxurious hotel is found in the vibrant city of Rio de Janeiro and presents guests with panoramic views of the city, the harbor and Guanabara Bay. Enjoy this historic and beautiful South American city while resting your head at the Hotel Santa Teresa, one of the Best Hotels in Rio. 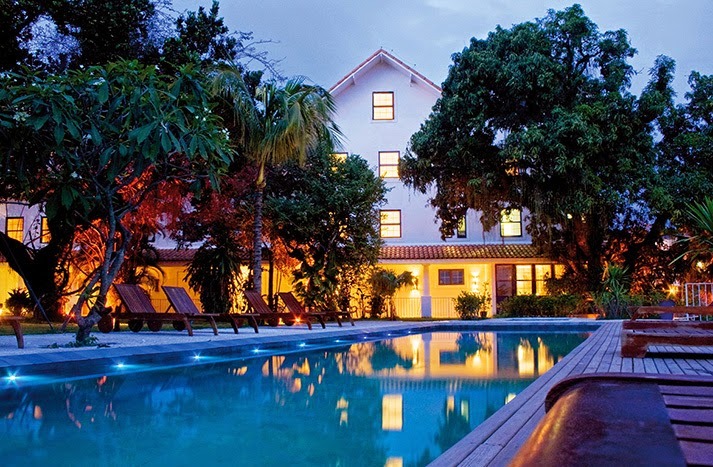 Hotel Santa Teresa was built on the site of a historical colonial farm in the most aristocratic area of Rio de Janeiro. 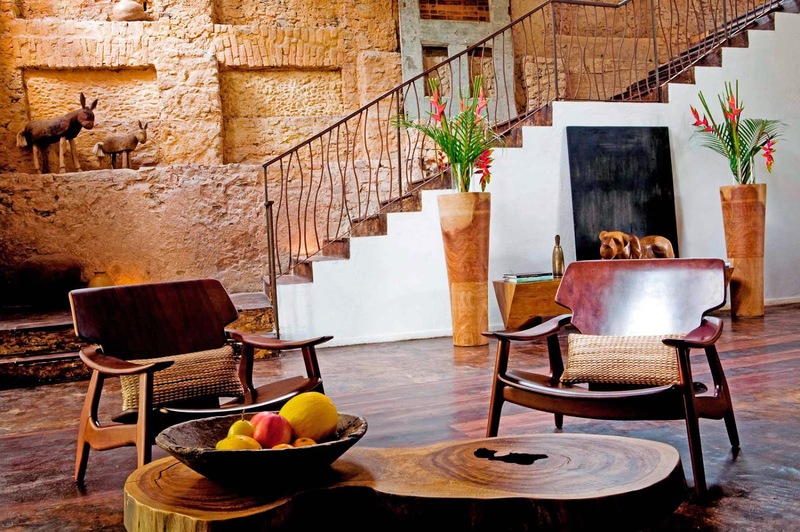 This Boutique Hotel was meticulously restored and now is an exceptional example of Brazilian Tropical Design in Brazil. Guests will fall in love with the sophisticated decor found in all of the guestrooms and suites while each space offers gorgeous views, impressive amenities and modern technology. Le Spa is the perfect place for those looking for a rejuvenating treatment while the glamorous outdoor swimming pool tempts and refreshes. Sip a cocktail at the Lounge Bar, considered to be Rio's most romantic bar or try out a delicious meal at the famed restaurant, Tereze, where Modern Brazilian cuisine is served up in style. 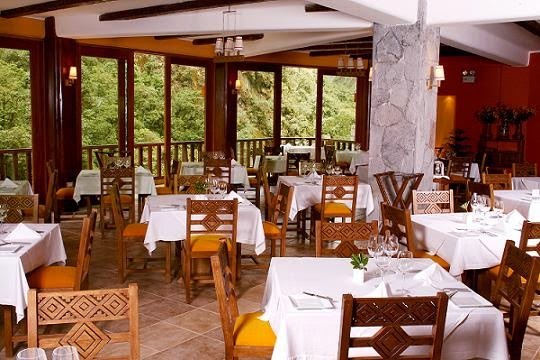 Many believe that Hotel Santa Teresa is the most beautiful hotel in South America, plan your travel here across WhataHotel! for a trip that is sure to be glamorous and relaxing in every way. When booking your stay at Hotel Santa Teresa across WhataHotel!, guests can savor Exclusive Complimentary Perks for an extraordinary stay. These perks include a full breakfast for two daily, available upgrades at check-in, one 60 minute massage per stay, a welcome bottle of wine and options for an early check-in and late check-out. Found in the Santa Teresa neighborhood, this Relais & Chateaux hotel offers guests and visitors the perfect spot for savoring all of the history and elegance of this alluring locale. Plan your time at Hotel Santa Teresa for a truly remarkable trip. 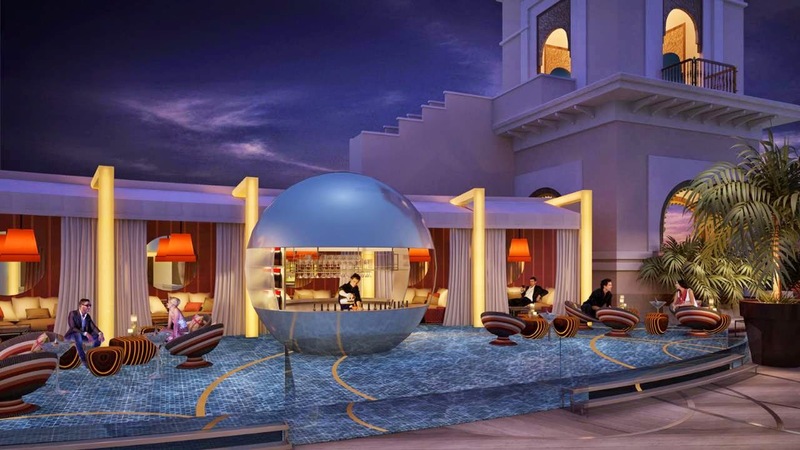 Opening September 1,2014, the glamorous Raffles Istanbul promises to be a fabulous hotel in the majestic city of Istanbul; book your stay across WhataHotel! and receive Exclusive Complimentary Perks for an amazing deal. 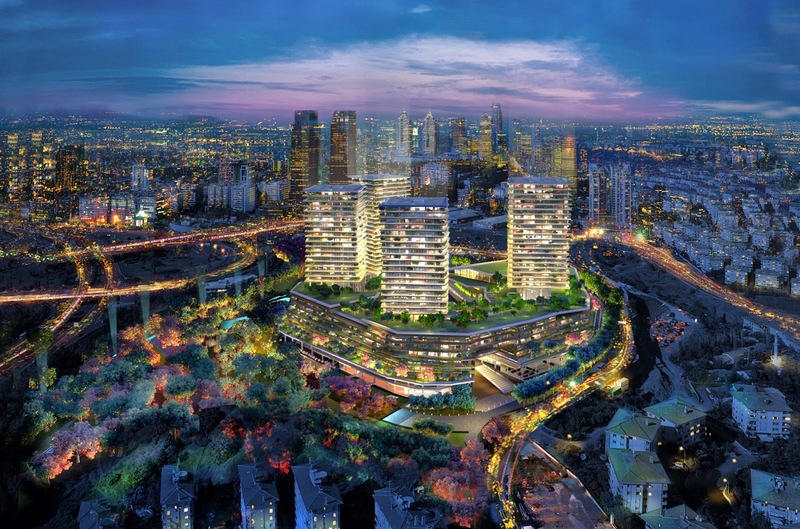 Located in the award-winning and luxurious Zorlu Center, this area offers up the best of Istanbul for business, financial, entertainment and art. Travel to a landmark city that presents visitors with a rich history, a beautiful culture and tempting food for a trip to remember. 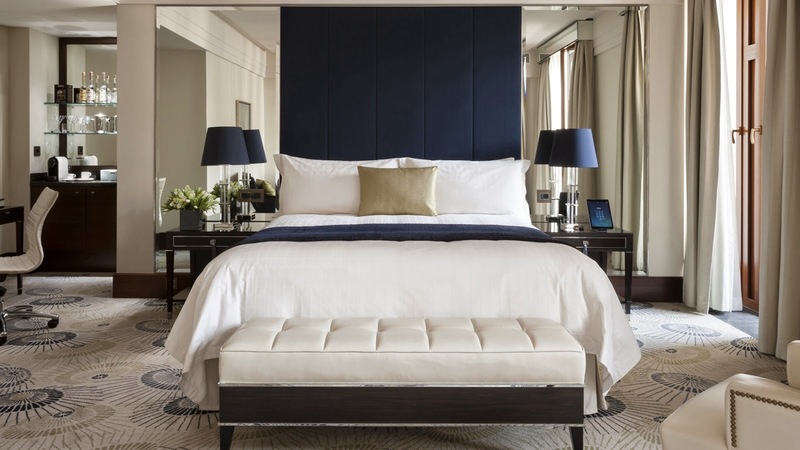 Upon opening, the Raffles Istanbul will feature 181 guestrooms including 49 suites that feature opulent amenities, fabulous bathrooms and lux linens for a comfortable stay. It will also be the only property in this city that provides butler service that is catered to each guest ensuring you want for nothing. 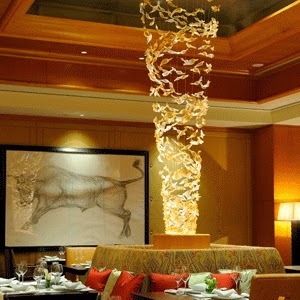 Dining here is tantalizing bringing two signature restaurants and three bars for a delightful meal. 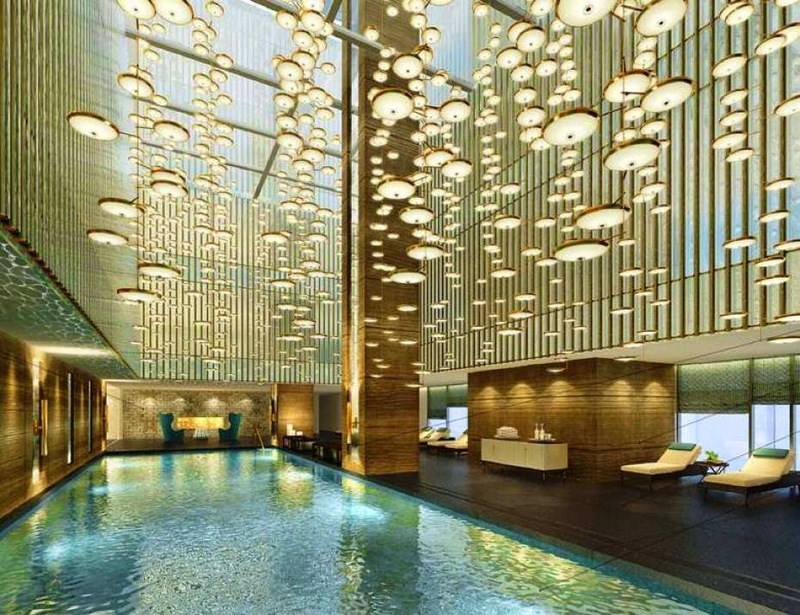 Guests will also enjoy the gorgeous indoor and outdoor pools, the enticing Raffles Spa (which will become the largest spa in Istanbul), and the well-equipped fitness center. 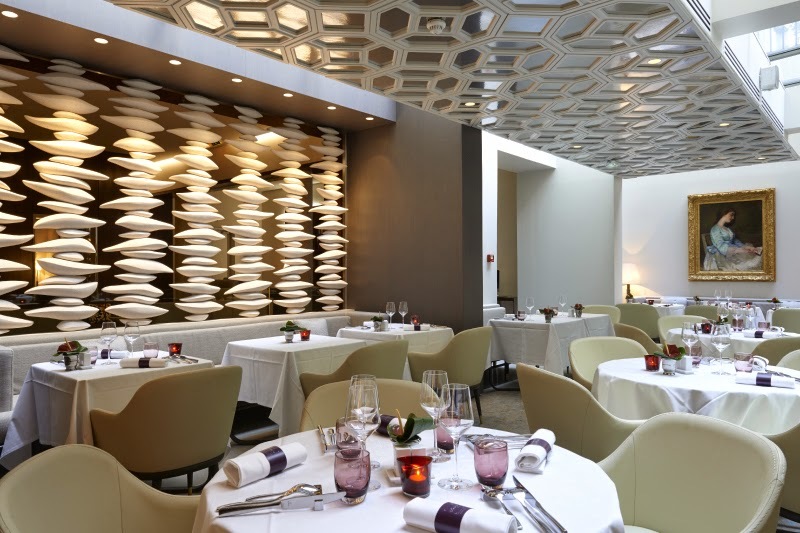 For those guests searching for the perfect spot for a business or social event, Raffles Istanbul is the place to be. It boasts beautiful ballrooms spaces and event venues and even a heliport for the prestigious traveler. Stay in the brand new Raffles Istanbul which promises to provide luxury, sophistication and top-notch service for an exceptional stay. When booking your travel to Raffles Istanbul across WhataHotel!, guests receive Exclusive Complimentary Perks for an unbeatable deal. These perks include a full breakfast for 2 daily, available upgrades at check-in a $100 food and beverage credit for spa treatment credit, a welcome amenity that includes a Turkish Treat and options for early check-in and late check-out. Also be sure to ask about the Grand Opening rates that are combinable with these already incredible perks. Raffles Istanbul is sure to bring a new perspective to a trip to this timeless city. 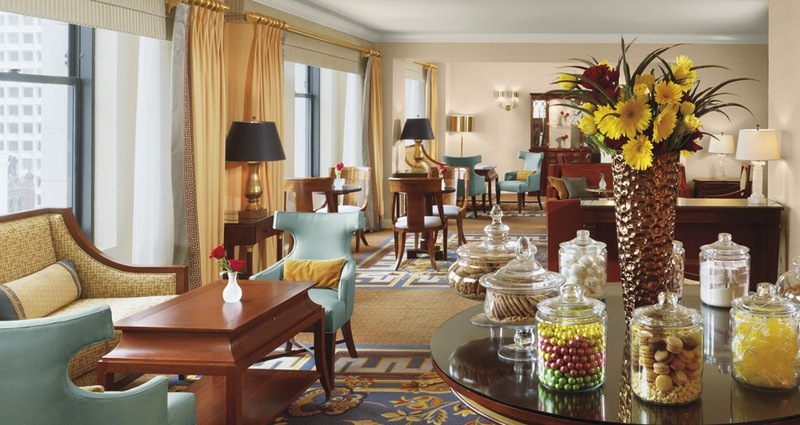 Enjoy elegance in the heart of this historic city, the Raffles Istanbul will be an oasis for the well traveled. Discover luxury on the Waikiki beach at the grandiose Moana Surfrider, a Westin Resort, book your travel across WhataHotel! and receive Exclusive Complimentary Perks for an amazing deal. 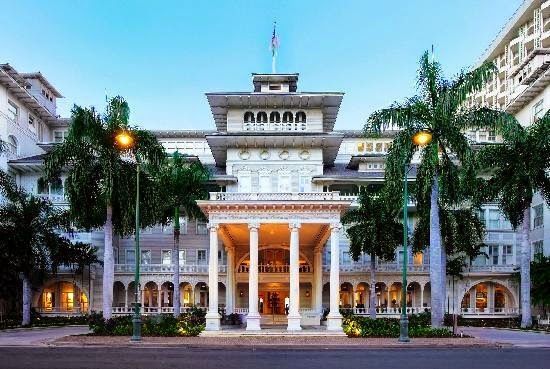 Lovingly called "The First Lady of Waikiki", this prestigious hotel opened its doors back in 1901. Since then, there have been countless renovations and refurbs, yet this hotel remains the premier destination for Waikiki. 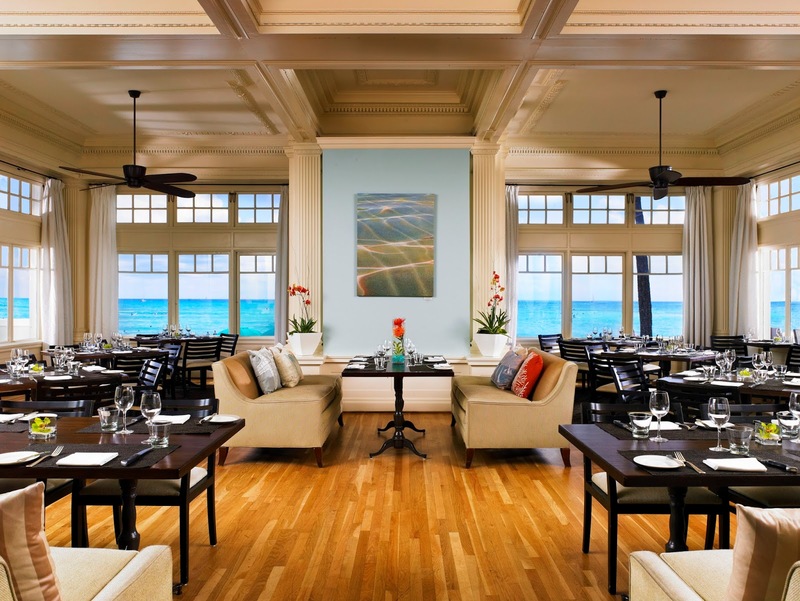 If you are looking to truly enjoy the island of Oahu, you can't go wrong checking in at Moana Surfrider. 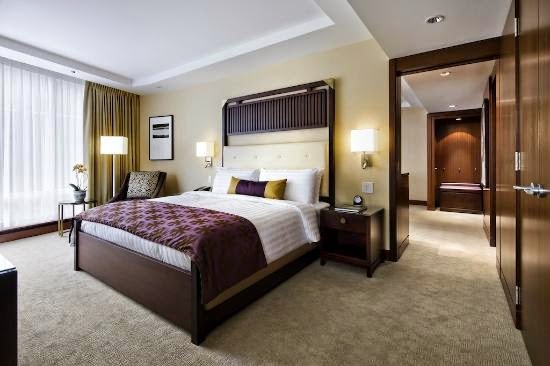 This historical property was revamped in 2007 and now boasts hardwood floors in the lobby, new and stylish decor and every guestroom features the beloved Westin Heavenly Bed. 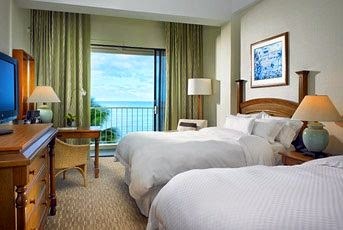 While the rooms and suites are phenomenal, a trip to Hawaii means little time spent in your room. 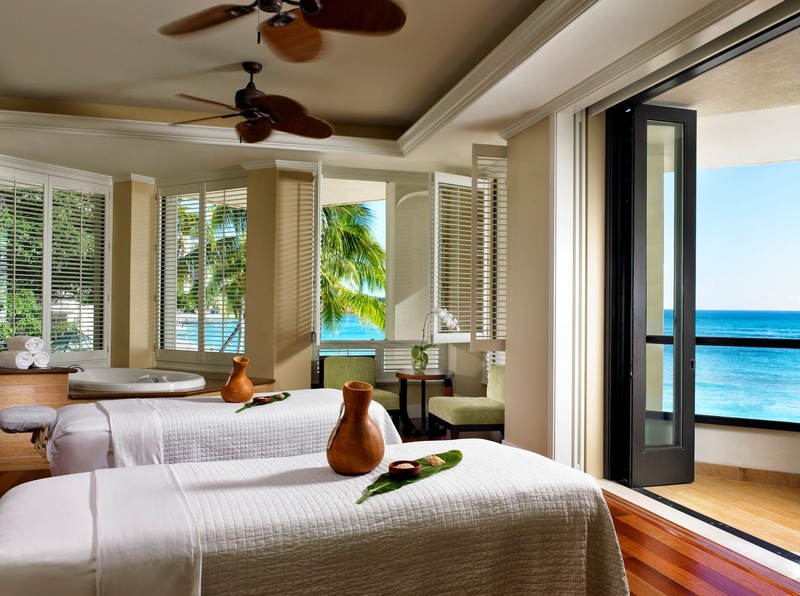 Visit Waikiki's first and only beachfront spa, the Moana Lani, with 14 treatment rooms including couples massage rooms and even a 1,400 square foot workout facility. The beautiful Banyan Courtyard is inviting allowing guests to enjoy the cool ocean breezes while sitting at an outdoor table with an umbrella to protect from the sun's rays. This courtyard gets its name from the historic banyon tree that still stands in the charming space. Dining here will be simply satisfying. 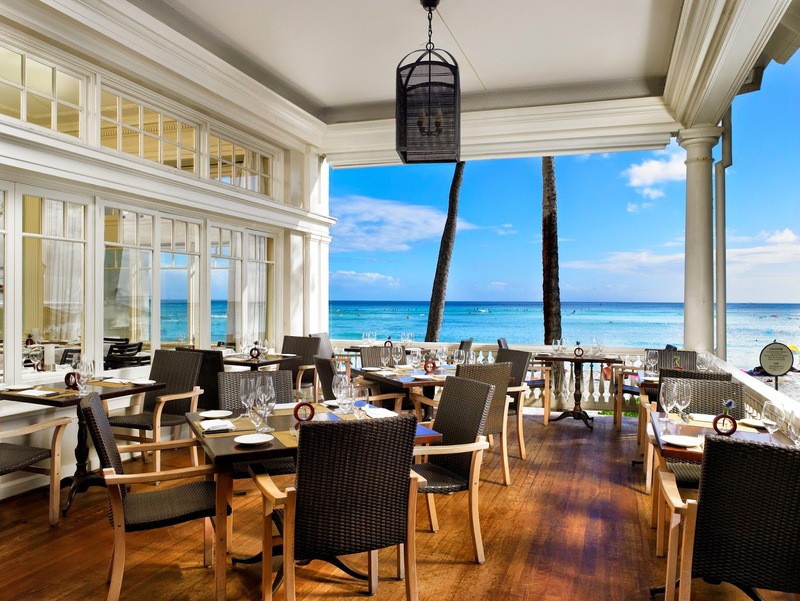 Enjoy breakfast by the ocean, fresh Hawaiian coffee, afternoon tea not to mention some of the islands finest inspired menus for a dinner to remember. Meeting rooms, event venues, retail space, a lovely beachfront pool and spectacular views await your arrival at the iconic Moana Surfrider. When booking your stay at Moana Surfrider across WhataHotel!, guests can savor Exclusive Complimentary Perks for and exciting deal. These perks include available upgrades at check-in, a continental breakfast for 2 daily, a $50 resort credit and options for an early check-in and late check-out. The Hawaiian Islands are an alluring tropical locale. Enjoy all that Oahu has to offer while enjoying the hip vibe of Waikiki. Moana Surfrider is ready to welcome you with a friendly smile and an exuberant Aloha! 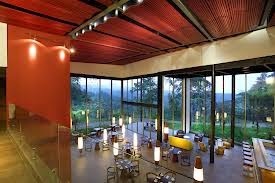 Natural wonders await at the All-Inclusive Mashpi Lodge located in the Mashpi Cloud Forest Reserve in Ecuador; book your travel across WhataHotel! and receive not only fantastic service but also Exclusive Complimentary Perks or an amazing deal. 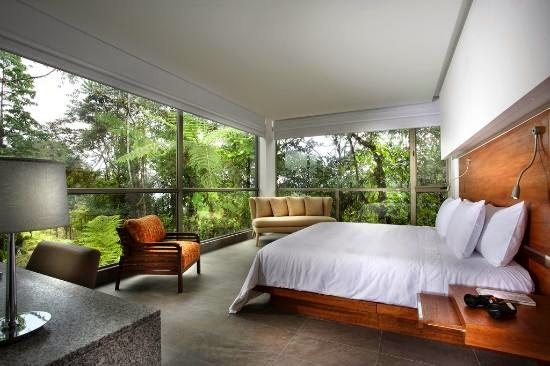 This nature lovers paradise is perched at 900m above sea level and surrounded by rainforests and even a cloudforest. 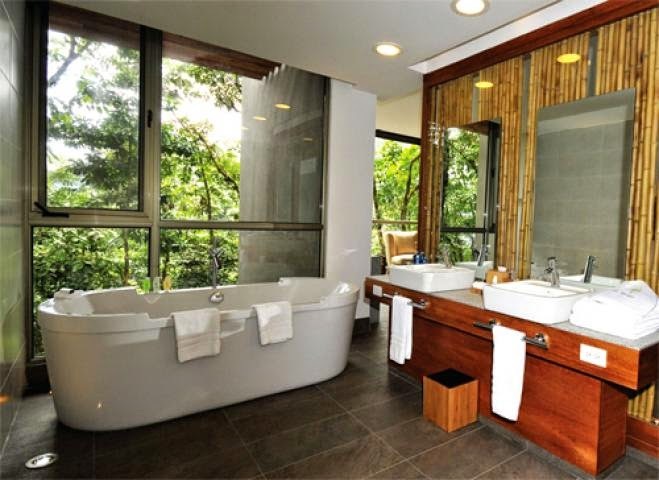 Become one with nature while being pampered at this contemporary and sophisticated lodge. 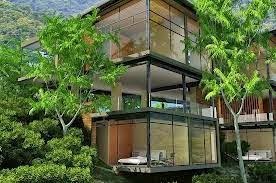 Mashpi Lodge was built with the latest technologies in regards to sustainable buildings. 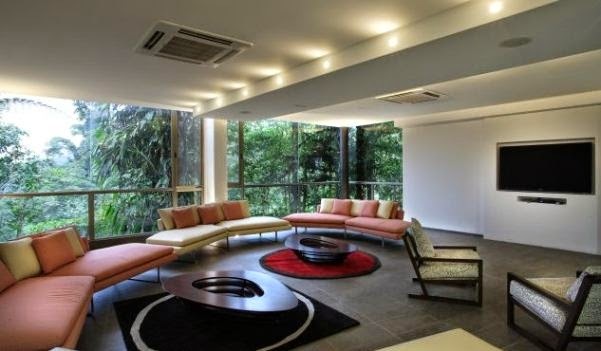 It blends beautifully with the stunning surroundings while featuring comfortable and stylish decor. The minimalist feel is mixed with warm tones and splashes of bright colors not to mention clean lines and striking angles and vistas. The guestrooms all face north with full view windows so that guests can enjoy the stunning views. Other exciting amenities include fine dining with a forest view, a tranquil spa and impressive adventures that utilize the outstanding setting to guarantee an unforgettable adventure. Mashpi Lodge is a luxurious retreat amidst the clouds ensuring complete relaxation and calm. When booking your stay at Mashpi Lodge across WhataHotel!, guest will enjoy the Exclusive Complimentary Perks for an exciting deal. These perks include available upgrades at booking, a $100 hotel credit for use in the hotel bar, restaurant and spa and options for early check-in and late check out. This spectacular location allows guests to catch a glimpse of rare orchids, some newly discovered, beautiful birds, monkeys, peccaries and maybe even a puma. Waterfalls, mountainsides and loads of natural beauty await you at the Eco-chic Mashpi Lodge.